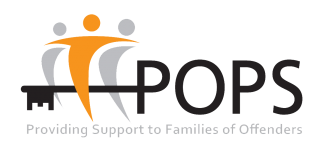 POPS is committed to protecting the privacy of its supporters and stakeholders. POPS fully complies with the Data Protection Act 2018 (DPA 2018) and is a Data Controller registered with the Information Commissioners Office. POPS may change this policy from time to time by updating this page. We recommend you read this page every time you use the site to ensure you are satisfied with the privacy conditions under which you provide POPS with your personal information and that you are happy with any changes. This policy is effective from 1st May 2018. The General Data Protection Regulation (GDPR) forms part of the data protection regime in the UK, together with the new Data Protection Act 2018 (DPA 2018). The main provisions of this apply, like the GDPR, from 25 May 2018. Under the data protection law, you have rights we need to make you aware of. The rights available to you depend on our reason for processing your information. Your right of access You have the right to ask us for copies of your personal information. This right always applies. There are some exemptions, which means you may not always receive all the information we process. You can read more about this right here. Your right to rectification You have the right to ask us to rectify information you think is inaccurate. You also have the right to ask us to complete information you think is incomplete. This right always applies. You can read more about this right here. Your right to erasure You have the right to ask us to erase your personal information in certain circumstances. You can read more about this right here. Your right to restriction of processing You have the right to ask us to restrict the processing of your information in certain circumstances. You can read more about this right here. Your right to object to processing You have the right to object to processing if we are able to process your information because the process forms part of our public tasks, or is in our legitimate interests. You can read more about this right here. Your right to data portability This only applies to information you have given us. You have the right to ask that we transfer the information you gave us from one organisation to another, or give it to you. The right only applies if we are processing information based on your consent or under, or in talks about entering into a contract and the processing is automated. You can read more about this right here. 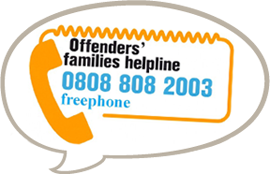 Please contact us at subscriptions@partnersofprisoners.co.uk if you wish to make a request, or contact POPS Head Office on 0161 702 1000. Where stated we may use the personal information you provide to contact you in the future about POPS’s work, services and events. If you do not want this to happen you can unsubscribe at any time by contacting us on feedback@partnersofprisoners.co.uk. If you are subscribed to our email newsletter you may unsubscribe by clicking on the ‘Unsubscribe’ link in the newsletter itself. Aggregate or summary information is collected automatically by our webserver. This information is used to monitor the website and will not contain information that can identify you as an individual. Cookies are small text files that are often created when you visit a website, and which are stored in the cookie directory of your computer. Cookies contain small pieces of data which are used on our website to store your current preferences and to analyse how visitors use the site. By reading the data in the cookie we are able to apply your preferences from page to page as you move through our site. Cookies also help us to provide you with a better website, by enabling us to monitor which pages you find useful and which you do not. When you arrive on POPS website a box will appear asking you whether you are happy to accept cookies. If you are you should click ‘I am happy with this’. You can also set your computer to automatically decline cookies. If you decline you should be aware that this may prevent you from taking full advantage of the website. Other browsers have similar cookie management abilities somewhere in their preferences settings, please refer to your browser’s ‘Help’ facility. There are two types of cookies: persistent cookies and session cookies. Session cookies are temporary and are erased when the browser exits. Persistent cookies remain on the user’s hard drive until the user erases them or until they expire. Cookies do not contain any personal information about you, and they cannot be used to identify an individual user. More information on what cookies are and how they work is available from Directgov. For more information about the specific cookies used on POPS website visit POPS Cookies. Some of the pages on POPS website contain embedded content such as YouTube video, Facebook or Twitter buttons or Audioboo files. You may receive cookies delivered from these websites. POPS does not govern the publication of these third party cookies. To understand more about their cookies and privacy statements, please visit the relevant sites. You may request details of personal information which we hold about you under the Data Protection Act 1998. If you would like a copy of the information held on you please write to the address below.